On top of it all the Manufacturers jumped on the bandwagon so that they forced more sales. The stupidest decision ever as it does not guarantee Oxygen clean, though it gives the impression of doing so. It will certainly lead to an accident with partial pressure blending. 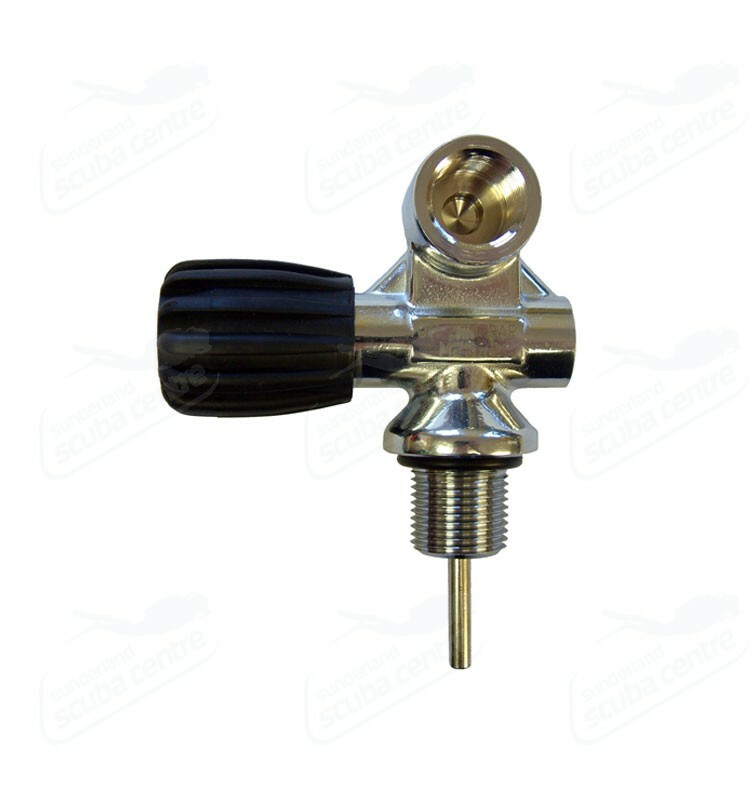 A DIN tank/regulator is the best and safest possible fitting for all diving needs. Sadly worldwide it is not as popular as the less reliable YOKE system. In addition to the direct problems with using Nitrox in Europe, this stupid decision will just make DIN fittings even more unpopular… The easy fix for many people will be to have a YOKE regulator and plug a din fitting (25 or 26) into the valve, resulting in an equipment configuration that has been proven to be less safe! A DIN regulator has been agreed upon the diving community to be the safer of the options and i think its just a matter of time before all divers will either convert their yoke’s to DIN or buy a DIN regulator. On the technical diving scene we very rarely see a yoke connection at all, for obvious reasons. It is possible to have a yoke style regulator and then you can use an adaptor to fit the DIN valve but as far as i am aware to date there is no adaptor to fit the M26 valve. In Egypt we are seeing more and more divers with DIN fittings and lets hope this continues to be the way. Thanks for your comment Sacha. Thank you for the heads up about the change so we can be more specific to our European guests about traveling with this own adapter to be sure it fits their regulator. As a dive operator on the other side of the world this is the first we have heard about a new European valve/reg mandate. As we dive with yoke valves found throughout the US, Canada, Australia, and the UK, we highly recommend to all our guests to travel with a DIN-to-yoke adapter that fits their particular regulator. We do have a small supply of regular DIN adapters but it may be difficult and confusing to add additional adapters, starting to get too confusing. But if you follow general mixed gas protocol and analyze your tanks it should never be a problem to begin with. What a shame governments getting involved to just cause more confusion. The change was actually a couple of years ago but never really took off in big numbers as a lot of people in the diving in Europe basically refused to buy a different regulator just because they wanted to dive nitrox. Luckily diving operators across Europe also refused to follow this new directive fully and continue to this day to offer nitrox tanks with the standard DIN fitting as we are more used. However, occasionally we do find a guest or two coming to Egypt form Europe who has the M26 regulator and are shocked to realise that it does not fit the tanks. This is easy to fix as long as we know ahead of time that they will be joining us then we can make sure we have adaptors ready or tanks with the specific M26 valve. I agree with you completely that divers that have been properly trained should be analysing all of their gases and so personally i do not feel the need for a different type of valve or regulator. Thanks for your comment. Divers having M26 is really no problem as long as when they are travelling outside of Europe they contact the diving operator who they plan on diving with to see what are the options. Most diving operators can make anything and everything happen as long as we are given enough time to do so.